ARM has added a wealth of wireless technologies to its arsenal, but has no immediate plans to design a modem for mobile or Internet of Things devices. The company offers CPU and GPU designs that are widely used in smartphones and tablets. A missing piece is a cellular modem that ARM customers could license and put in mobile devices. 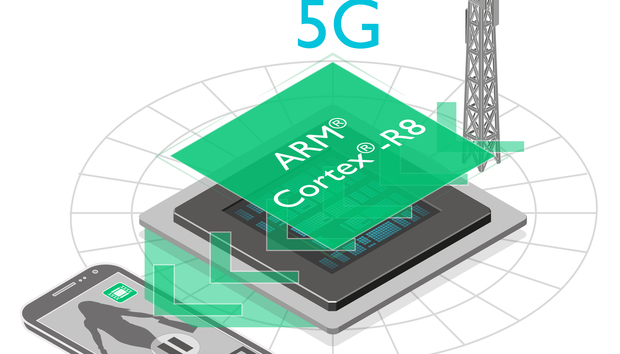 ARM once considered developing a modem, but the design is complex and there are different protocols, technologies and customer requirements, said Ian Smythe, director of marketing in the CPU group at ARM. For example, a device maker might want a modem that supports CDMA in the U.S., while phones in China use a different form of LTE than in the U.S. and Europe. "It's quite difficult to come out with a one-size-fits-all, slam-dunk design," Forsythe said. Qualcomm, Intel, MediaTek and Samsung are among the few companies developing modems today. Apple licenses the ARM CPU architecture, but buys modems from Qualcomm. An ARM design could make modems more accessible to chip makers. In particular, there could be an appetite for modems in IoT devices, where ARM is growing at a rapid pace, said Jim McGregor, principal analyst at Tirias Research. One example for the use of a modem could be in emergency and rescue situations, where data would need to be transferred to remote locations. Cellular connectivity will also be needed for remote IoT devices feeding data in real time to repositories, McGregor said. ARM has the expertise to build a modem, but the company is fairly conservative and might not want to make the hefty investment required, McGregor said. Companies like Freescale and Nvidia have left the modem business due to the challenges involved. There are other areas of wireless connectivity where ARM has a huge presence, such as with its Cordio Bluetooth radio. ARM will continue to focus on those areas, Forsythe said. ARM will also continue developing adjacent technologies such as CPUs for modems. The company on Thursday announced the Cortex-R8 CPU design for modems to support the buildout of 5G networks, which are expected to be deployed by 2020. Cortex-R8 will go into self-driving cars, robots, base stations and data-center equipment. The 5G mobile standard could provide data-transfer rates that touch 10Gbps. Carriers will aggregate different types of wireless networks, including unlicensed spectrum and Wi-Fi, into 5G, which will boost mobile broadband speeds. The convergence of a melting pot of wireless technologies could expand the use of 5G beyond just mobile devices. 5G could also be used for communication in large-scale IOT deployments. Modems typically establish connections, while technologies like the Cortex-R8 process and prepare data for transmission, through steps like error-checking. The Cortex-R8 will work with real-time operating systems and spur development of hardware for 5G networks. The first devices with Cortex-R8 could come out next year.